Investor Timothy Draper regards Six Californias better than One. ‘Language and ethnicity’ put bounds to the division and separation of states in India since Independence. From 14 states and 6 Union Territories in 1953 to 29 states and 7 Union Territories today, India has been moving on. Days were when India (Pakistan & Bangladesh combined) had 500 princely states and eight provinces guided by the British mode of Governance. Technology, as we recognize, perceive, and signify today did not take roots in everyday life of people then. The vision and foresight of the stalwarts of Indian Independence movement made the mark to take India through the path of industrialization and progress. During the course of our journey of progress, separation of states followed its own course and the determining factor embraced ‘poor development and disregard of states’ as key factors in tune with times. Telengana from Andhra Pradesh is the latest. 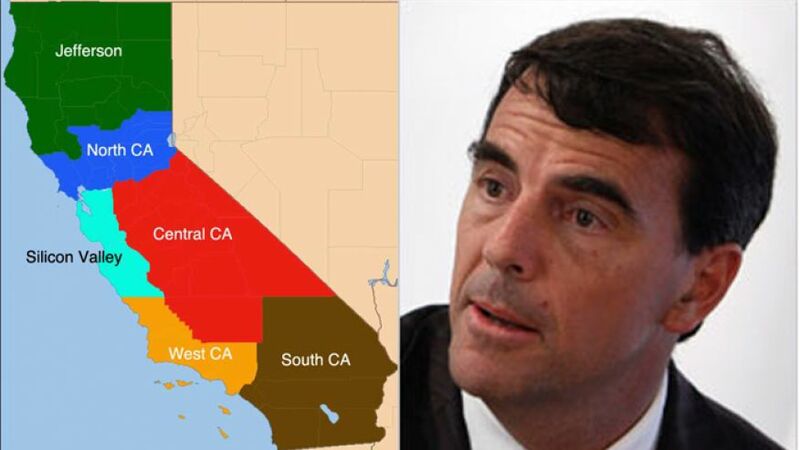 It is in this context of separation that ‘news’ from California, U.S.A., ( July 15, 2014 ) about a proposal by a billionaire investor, Timothy Draper, collecting the required 8,08,000 signatures needed on a petition to carve up ‘Six’ smaller states out of California to solve its myriad problems is interesting, exciting and noteworthy. Draper will file the collection of signatures to the Secretary of State, Debra Bowen, on July 18 to get his proposal on the State’s 2016 ballot. It has to be passed by the Congress later to make it effective. The six smaller states proposed are : (a) Jefferson (northmost part); (b) ‘Silicon Valley State’ ; (c) ‘South California’ comprising San Diego and eastern Los Angeles; (d) Rest of LA will be called ‘West California’; (e) A province called ‘Northern California’ will be built around Sacramento; and (f) the Central valley region constituting the ‘Central California’. Silicon Valley will become the nation’s richest State while ‘Central California’ will become the poorest. According to him, California has become ‘large and ungovernable’. The proposed division will be representative & accountable. It will help create a business friendly environment; solve state’s water issues; and ease traffic congestion. There have at least been 220 efforts to divide California earlier. None had succeeded. 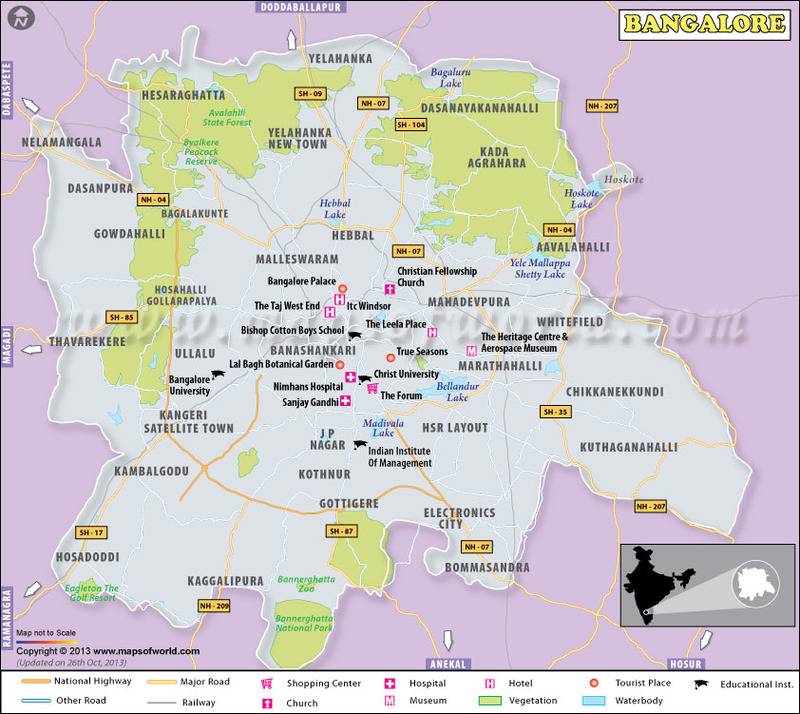 Bangalore, India, can it be the ‘Silicon Valley State’ of India ? It, however, brings to the fore two key aspects of relevance to India. 1. Tech induced rich poor divide; peoples’ likeness for exclusivity; peoples’ preference for private services as opposed to public services; deliberate disregard of development in towns & cities – hold the potential to excite the creation of self-governing urban groups in states; 2. Concomitant with the above will be the growing clamor to carve up more smaller entities out of populous states in the pretext of accelerating development and easing urban miseries. New ‘mantra’ for separation of states here will now cover ” development, equity, and peoples’ aspirations “. ( A list of aspirant states is given at the end in Appendix ). 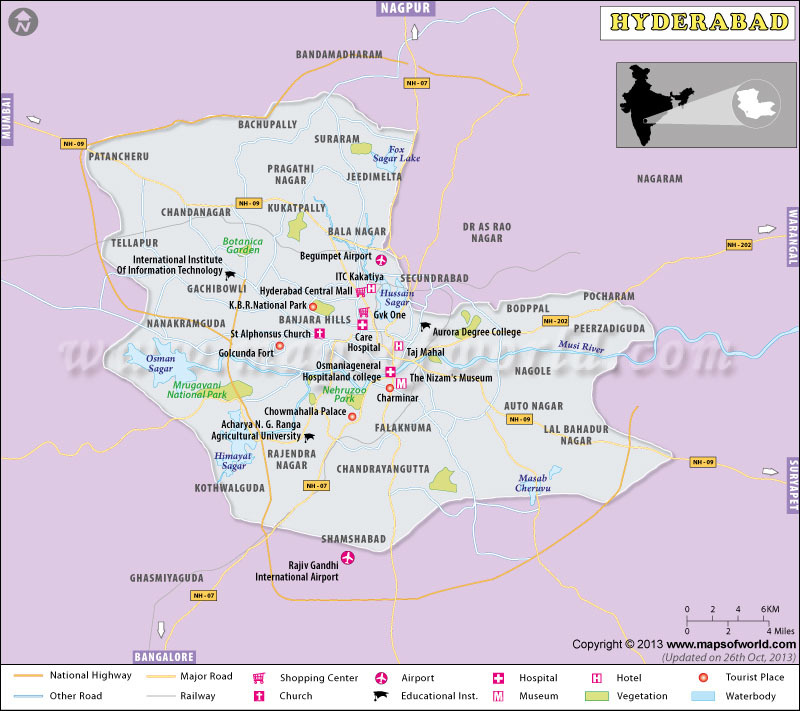 Hyderabad, India, Will it stake its claim to be the ‘Silicon Valley State’ of India ? Of significance in this context is the proposed creation of 100 Smart Cities announced in the Union Budget 2014 by our Finance Minister. It adds another dimension to this. Existence of haves and have-nots on either side of streets in communities is a distinctive characteristic of our cities and towns. If sufficient thought, planning, and awareness, aside from the physical design aspects are not attended to, the resulting practice will even damage the intent in word, script, and deed. It can become a potential cause for even unrest in civil society. In the U.S.A., the campuses of FB, Google, & Apple have become the “autonomous urban centres”. – mentions the news report. Futuristic tendencies will witness the scenario repeating itself in India reflecting the impact not just in peoples’ mental image, but also in Government’s tax receipts, income parity of citizen(s), and even social life standards affecting the groups, community, region and the country in ways unimagined anytime before. Choice before us is clear. Embrace or Shun. Stalling the creation of such cities is not a good solution, but a clear line has to be drawn in respect of such facilities in towns regarding services, location, utilities and other conveniences for the people. There is this classic case of the first instance of a city in U.S.A. having broken off from the state to become ‘totally autonomous’. City : ” Sandy Springs” in Georgia, U.S.A. with a population of 93, 853. Reason : The state government is poorly run. All public services are privatised. It is an affluent city with average family income of $ 1, 69, 815. Will this trend find encouragement and be the norm in a decade or two ? Will ‘governance’ assume a paradigm shift altering and restricting the role of the Government drastically ? May be yes, may not be so. May be for good, may not be so. This, however, is not certainly a possibility at this juncture in India. 1. Will the aspirations of the people be tempered or a culture of ‘high life below stairs’ created by this ? 2. Will the states/cities created do good to the tax revenues of the government or cause damage to the economy ? 3. Will the creation of states/cities alter the structure of the civil society and if so in what ways can the good effects be multiplied and the ill-effects be controlled ? 4. Will Bangalore or Hyderabad stake its claim to be the official ” Silicon Valley State of India” on the lines of the ‘Silicon Valley State’ of the proposed division of California ? and 5. What will be the associated social changes to which the citizenry needs to adapt itself for enhanced quality of life ? Ponder, study and answer ! Appendix is given in a separate part (part 2) in line with the topic of separation.